Christmas and holiday cookies are one of my favorite things to make during the holidays. Not to mention, cookie swap parties have become so popular that every holiday season I get requests for healthy cookies recipes, which means I have lots of skinny cookie recipes to choose from. These parties are a great way to touch base with pals at the holidays, and swap cookies. Here’s how it works: You and all your friends get together, you bring your empty cookie tins and a set amount of cookies (usually 3-5 dozen)… then the fun begins. You get to swap your favorite homemade cookies with your friends, filling up your cookie tins with everyone’s cookies. You get lots of variety and you don’t have to do all the work of making several different kinds. These tins make great gifts, and make your holiday dessert table look extra impressive, so be sure to keep a tin for yourself. 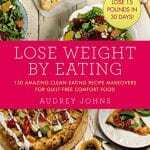 Since I am a clean eating advocate, I wanted to share my own healthy Christmas cookie recipes and holiday cookie recipes with you. Recipes like: Lemon Oatmeal Biscotti, Frosted Pumpkin Oatmeal Cookies, Pumpkin Chocolate Chip Cookies with Pecans, White Chocolate Chip Cherry Oatmeal Cookies, Peaches and Cream Oatmeal Cookies, and Double Chocolate Cherry Cookies. All of these cookie recipes are full of heart healthy, metabolism boosting oatmeal. I love oatmeal, this super food helps increase weight loss by making you feel more full without the sugar crash of traditional flour based cookies, it raises your metabolism, lowers your cholesterol along with other great health benefits. Talk about spreading love with your food, you will be helping strengthen your loved one’s hearts with these recipes. As you can see in the video, there are lots of ways to make cookies healthier by using substitutions like smashed bananas in place of butter, unsweetened apple sauce for sugar, or baby food for extra flavor. So let’s put these tips to work in some of my tried and true, delicious healthy cookies. Cookies and Christmas go together like cake and ice cream. Holiday parties are often filled with festive foods like cookies, pastries, and other treats. And leaving cookies for Santa is a cherished tradition that goes back for many generations. These healthy Christmas cookies taste wonderful, and won’t pack the pounds on you… or Santa! Biscotti is so easy to make, yet so impressive. These Lemon Oatmeal Biscotti Cookies make great gifts, are a wonderful addition to any cookie swap party and Santa really loves to dunk them in coffee, milk or eggnog… whatever you choose to set out for him. In this recipe you grind the oatmeal up into a flour, making it great for picky eaters. You can use this trick in all of the recipes that follow, simply toast (350 degrees for 5 minutes), grind and go about your baking business, no one will be able to tell there is oatmeal in these cookies! Spread out the oatmeal on a lined baking sheet and toast for 5 minutes in the oven then move to a food processor and grind down until as fine as flour. Cover the baking sheet with parchment paper and set aside. 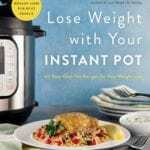 In a medium bowl combine ground oatmeal, flour, baking powder, salt and lemon zest, set aside. In a standing mixer or large bowl with a handheld mixer whisk the egg and sugar on medium until thick and pale about 5 minutes. Reduce to low and add in vanilla and lemon juice. Then add in the flour mixture slowly until all incorporated. Move the dough to the prepared cookie sheet, with wet hands mold the dough into a one foot rectangle. Bake until slightly browned around the edges, about 20 minutes. Remove from oven and let cool on baking tray for 10 minutes, but leave the oven on. Move the large cookie to a cutting board, remove parchment carefully from bottom. Slice into 1/2 inch cookies and place back on tray cut sides up. Bake for 5 minutes, flip over and bake for another 5 minutes, they will crisp more as the cool. Let the biscotti cool while you melt the white chocolate in a double boiler or in a heat safe bowl, microwaved in 10 second increments, stir constantly to avoid burning. Once the chocolate is melted, mix in oil (this will keep it from hardening while you work), then dip 1/3 of each biscotti cookie in the chocolate before placing on a sheet of wax paper, continue working on all the cookies, then move to the refrigerator for 30 minutes or until the chocolate hardens. I made these Healthy Peaches and Cream Oatmeal Cookies using peach baby food which helps cut down the sugar and butter and reduces the calories. These are so rich you will only want one, but so low in calories that you won’t feel guilty of you have two. If you love this recipe you’ll really love my Strawberries and Cream Cookies in my new cookbook Lose Weight by Eating! Preheat oven to 350 degrees. Cover 2-3 rimmed baking sheets with parchment paper. In a small bowl combine flour, baking soda and salt, set aside. In a large bowl or standing mixer whip butter and sugar, add in egg and vanilla. Add in baby food and ⅓ cup of water and mix, add the flour mixture until just combined. Add in the oats, white chocolate and peaches mix until just combined. Place in fridge for 15 minutes to firm up. Using a spoon, scoop ping-pong ball sized dollops of cookie dough onto the prepared cookie sheets, give enough room for a little spreading. Bake for 10- 15 minutes until golden brown. I’m always looking for new ways to use up leftovers, it’s a great way to save money while eating healthy. This recipe came about from a massive quantity of leftover cranberry sauce the day after Thanksgiving, and what was created is an almost red velvet colored cookie studded with red and white jewels. It’s both beautiful and delicious, you can make it with leftover cranberry sauce, or a can of organic whole-cranberry sauce. These are so perfect for holiday gatherings, next time you are asked to bring dessert to a Thanksgiving or Christmas dinner, bring these. They are perfectly themed for a holiday table, and are a healthy option that will keep you away from all the cake, pie and candy. Preheat oven to 350 degrees, cover 2-3 rimmed baking sheets with parchment paper. In a small bowl combine the flour, baking soda and salt, set aside. In a large bowl or standing mixer whip butter and sugar, add in egg and vanilla. Add in cranberry sauce and mix, add in the flour mixture and mix until just combined. 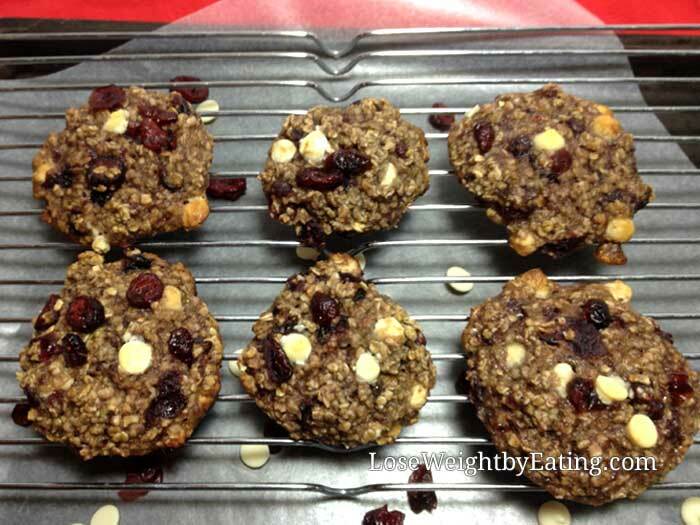 Add in the oats, chocolate and dried cranberries and mix until just combined, over-mixing will make tough cookies. Place in fridge for 15 minutes to firm up. Use a spoon to scoop golf ball sized dollops of cookie dough, give enough room for a little spreading. Bake for 10- 15 minutes until golden brown. In the fall, I love to make delicious holiday cookies. Pumpkin is one of my favorite ingredients to use especially for healthy Thanksgiving treats. I also included a couple a couple sinfully delicious Valentines cookie recipes just for fun, but you can make these holiday cookies any time of the year. Looking for a healthy fall treat your family will love? Try these Pumpkin Oatmeal Cookies and you’ll be in pumpkin heaven! Not only are these holiday cookies really yummy, but they’re good for you, too! I have often called myself “the human equivalent to the Cookie Monster.” I’m obsessed with cookies. So when I embarked in my remarkable weight loss journey, I knew I had to find a way to enjoy my favorite treat without ruining all the progress I was making. 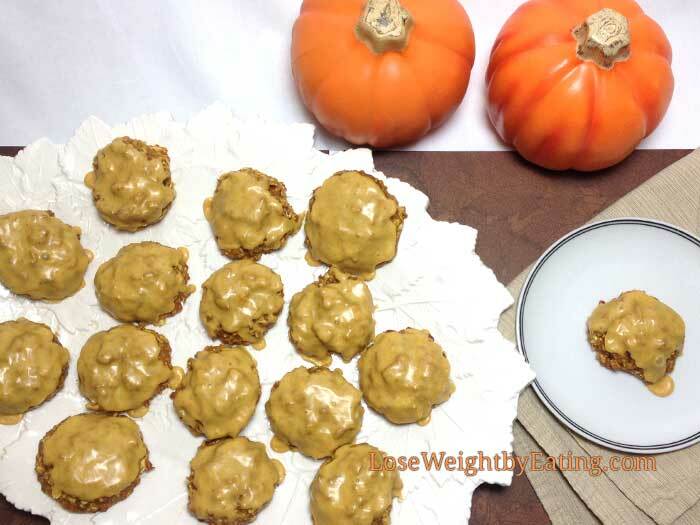 I used skinny cookie tricks to create these amazing, rich, Pumpkin Pie flavored cookies for under 100 calories. Preheat oven to 350 degrees and line 2-3 baking sheets with parchment paper. In a medium bowl combine flour, salt and baking soda, set aside. In a standing mixer or a large bowl whip the butter and sugar, add pumpkin puree, vanilla, and egg and whisk together. Add in the flour mixture and mix together until just combined. Slowly add in oatmeal and mixing until just combined so you don’t get tough cookies. Place dough in the fridge for about 15 minutes to firm up. Spoon out tablespoon sized cookies and bake for 15 minutes. Let cookies cool on a wire rack before adding frosting. Whisk together powdered sugar, pumpkin puree, vanilla and pumpkin pie spice until desired constancy, add warm water a teaspoon at a time if needed to thin it out. Dip the top 1/3 of the cookies into the frosting, place back on the parchment paper lined cookie sheets (for easy clean up) and let set for 10 minutes, place in refrigerator for 30 minutes to allow the frosting to set. Each serving (1 cookie) has: 93 calories, 1 g fat, 1 g fiber, 1 g protein, 19 g carbs. This healthy cookie recipe is the result of a craving for pecan pie, chocolate chip cookies and pumpkin pie all at the same time. I came up with these sinfully delicious, yet low calorie, Pumpkin Chocolate Chip Cookies with Pecans a couple years ago, and they instantly became a family favorite. So if you ever wondered what would happen if you mashed the three together, try these! Preheat oven to 350 degrees, line 2-3 cookie sheets with parchment paper. Combine flour, salt and baking soda in a medium bowl, set aside. In a small bowl whisk butter and sugar together, add in vanilla, egg and pumpkin purée. Add in the flour mixture and whisk together until just combined. Slowly add in oatmeal, chocolate chips and pecans and mix until just combined, don’t over-mix or you’ll get tough cookies. Spoon out tablespoon sized cookies onto a cookie sheet and place in oven for 15 minutes. Move the cookies to a wire rack to cool completely before adding the frosting. To make the frosting, whisk together powdered sugar, pumpkin purée, vanilla and pumpkin pie spice until desired constancy, add warm water one teaspoon at a time if needed to thin it out. Dip or drizzle onto cookies, top with pecans and let set for 10 minutes, place in refrigerator for 30 minutes to allow the frosting to set. The “holidays” don’t always have to be just about Thanksgiving to New Years, we can’t forget Valentines Day! Make these Valentine Cookies for your sweethearts any time of the year. I replace most of the butter with applesauce cutting hundreds of calories. I recommend getting the little snack cups of applesauce they are ½ a cup and will make measuring easy, you’ll be ready to bake anytime. Cover 2-3 rimmed baking sheets with parchment paper and set aside. In a small bowl combine flour, baking soda, salt cinnamon and cocoa powder. In a large bowl or standing mixer whip butter and sugar, add in egg and vanilla. In a small bowl combine applesauce and ⅓ cup of water, then add to large bowl/mixer and mix, add the flour mixture until just combined. Add in the oats, chocolate and cherries and mix until just combined. Place the cookie dough in fridge for 15 minutes to firm up and preheat oven to 350 degrees. Scoop ping-pong ball sized dollops of cookie dough onto the prepared cookie sheets, give enough room for a little spreading. Bake for 10- 15 minutes until golden brown. Place cookies on a baking rack to cool. Each serving (1 cookie) has: 92 calories, 2 g fat, 1 g fiber, 1.5 g protein, 17 g carbs. Chocolate and cherries, need I say more? 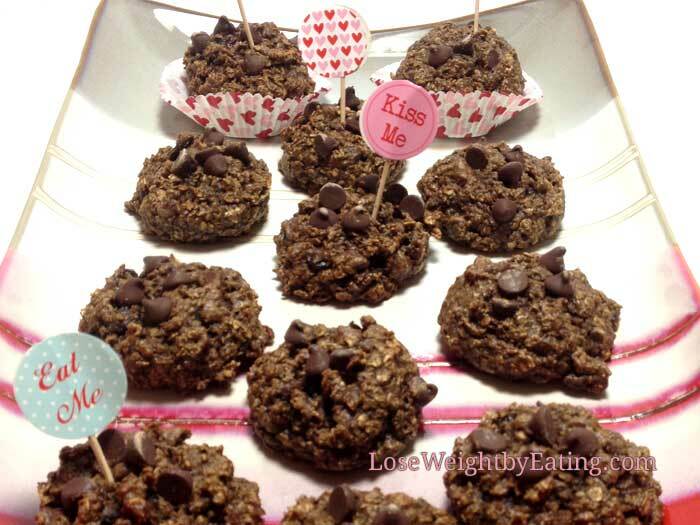 These are easy and delicious, perfect for your Valentine too! I cut the calories by replacing some of the butter with pear baby food. Both baby food and apple sauce are excellent swaps to cut a whole lotta’ calories and fat without cutting flavor. 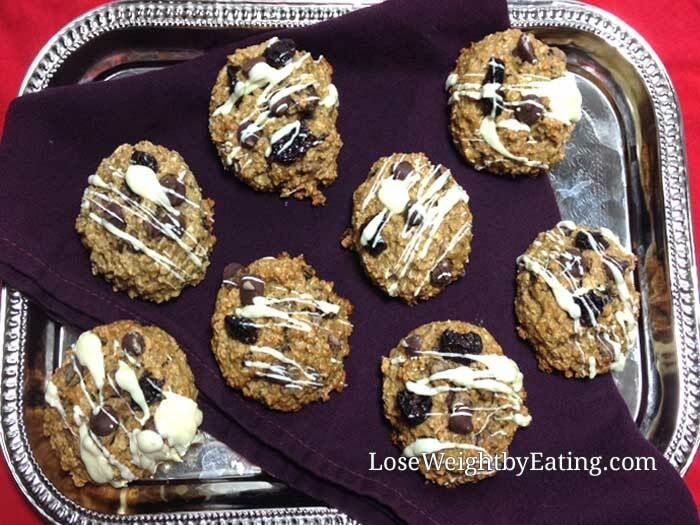 These have been a long time favorite on my blog, originally called Cherry Garcia Oatmeal Cookies (for you long time readers) for their chocolate, cherry and rich vanilla flavor. Just like the timeless classic ice cream flavor these cookies are good year round, but unlike the ice cream you can enjoy them year round without gaining weight. In a small bowl combine flour, baking soda and salt, set aside. In a large bowl or standing mixer whip butter and sugar, add in egg and vanilla. In a small bowl combine baby food and ⅓ cup of water, add to large bowl/mixer and mix together. Add in the flour mixture and whisk until just combined. Add in the oats, dark chocolate and chopped cherries and mix until just combined, over mixing will result in tough cookies. Scoop ping-pong ball sized dollops of cookie dough onto the prepared cookie sheets, give enough room for a little spreading. Bake for 10- 15 minutes until golden brown. Let the cookies cool while you melt the white chocolate in a double boiler or in a heat safe bowl, microwaved in 10 second increments, stir constantly to avoid burning. Once the chocolate is melted, mix in oil (this will keep it from hardening while you work). Summon your inner Jackson Pollock to drizzle and drip the white chocolate all over your cookies. Let the chocolate cool and harden before serving. Each serving (1 cookie) has: 103 calories, 2 g fat, 1 g fiber, 2 g protein, 21 g carbs. Conclusion: Holiday cookies can taste great and be healthy, too! 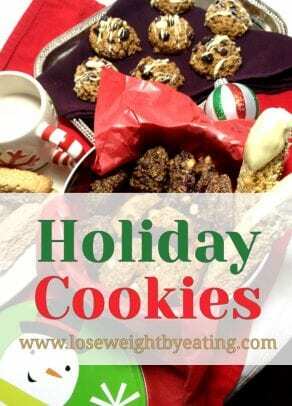 Holiday baking can be fun and healthy with these yummy cookie recipes. You can feel good about giving them away as gifts, or just for making them for your loved ones, because you know they are as healthy as they are delicious. 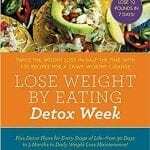 These tried and true recipes will impress even the most discriminating palates (AKA picky eaters) while sneaking in some heart healthy, metabolism boosting ingredients you can feel good about serving. Bake some yourself and share the love of the seasons, from thankful harvest Fall, to joyous Winter with families and clean slates of New Year, followed by love and freshness of Spring, all resulting in a healthy sun filled Summer, these recipes fit in all seasons and help bring out the joy and excitement of the one you are celebrating.